Please join us at 6:30 PM in Room 104, this Wednesday for our adult service. It is a time of singing, being in the Word and praying. 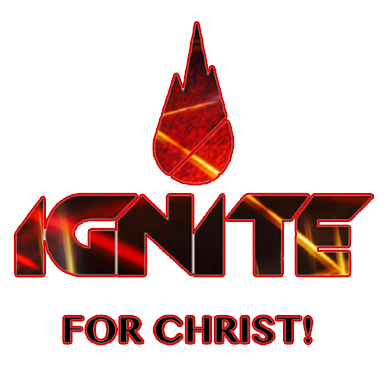 Ignite For Christ welcomes all youth, 6th through 12th grade, to a time of fun & games, fellowship & sharing God’s Word. Do you feel that the ability to hear God’s voice is for other people and not for you? Is it only for people who lived in Biblical times? One of Priscilla Shirer’s bestselling titles, Discerning the Voice of God is now completely revised with updated content and reflection questions. Each section contains insights that will aid you in your desire to hear Him speak. Discover the treasure of recognizing how God keeps in touch with his beloved people. Whether you are looking for something realistic, impressionistic, or abstract, she can create that special something just for you. Gloria Kohlmann has been drawing and painting since she was a young girl. she received a BA in Fine Arts from FSU, which included studies in Florence, Italy. In 1985, she opened a studio for freelance artwork and portraits. Gloria’s artwork includes all mediums: pen and ink, oils, acrylics and pastel. She illustrated an internationally circulated newsletter and book between 1988 and 1995. Some of her illustrations were chosen for an international exhibition in Washington DC in 1997. That same year, Gloria learned and began doing live art presentations with music illustrating themes designed to bring joy and inspiration. To date, many thousands of people have experienced the effects of these live visual illustrations such as in this “See the Light” ministry video created for their Nativity DVD – The Gift of Love. Viewers comment that they can actually feel the themes of love, hope and peace in their hearts as she draws. Gloria teaches students of all ages and conducts workshops on how to use live visual arts with music! Gloria and her husband Jim, have two sons and live in Central Florida. Come and join us for an evening filled with praise & worship, preaching & teaching of God's wonderful mercy, and the salvation of Jesus Christ. Larry Ford is a Grammy award winning tenor whose music career first took root at the age of five, when he climbed up on a chair at his home church in Levelland, Texas. His first solo was “How Great Thou Art,” and now (fifty years later) Larry is still singing “How Great Thou Art” – only now he sings it in English, Spanish, Swedish, Russian, Italian and Norwegian. Having studied privately as a teenager with an Italian vocal coach, Larry attended Eastern New Mexico University, where he was trained in classical music on a music scholarship. Before setting out on his solo career, he served as a featured soloist with The Downings; not long thereafter, he sang tenor with the Dixie Echoes and later The James Blackwood Quartet. Larry is frequently featured as a soloist on the Homecoming series and through those appearances on live concert events and television airings, he has become closely associated with gospel favorites like, Little is Much When God is In It, Sing of My Redeemer, Follow Me and O, What a Savior. Larry’s music ministry has taken him to 49 states of the United States and to more than thirty foreign countries during the course of his career. Though his travel schedule includes over 100 concerts a year and frequent overseas travel, nothing takes priority over his family. Larry and his wife, Sherryl, have been married for 40 years and have six children: Matthew, Mark, Luke, Jon, Seth (who is married to Jennifer) and Amanda (who is married to Darius). Larry and Sherryl have also been blessed with seven grandchildren. Those who know him best know it is not only his powerful voice that has drawn listeners from all over the planet, but it is a gift of communication, for which he gives God all the glory. His classical training and worshipper’s heart has offered a wonderful breath of fresh air to the Homecoming series, and to the gospel music community as a whole, on numerous occasions. Bill Gaither recently hosted a DVD, entitled The Best of Larry Ford, which features Larry’s best-loved performances from the Homecoming series plus a wonderful, never-before-seen interview with Larry & Sherryl that takes viewers deeper than ever into the heart, life and music of Larry Ford. Dennis Gwizdala has been singing and playing professionally since his childhood. Born into a musical family, Dennis started singing and playing professionally as a clarinetist and saxophonist in the secular world at the age of 14. For almost 20 years, he would play at various events throughout the Midwest. He had recorded an album and was a driving force in the group and music he was dedicated to. Dennis’ secular music was #1 on his list of priorities in his life. On August 4th, 1986, at 30 years of age, a co-worker lead Dennis to the Lord Jesus Christ, and Dennis was wondrously saved! At that point, God changed Dennis’ heart and desires. 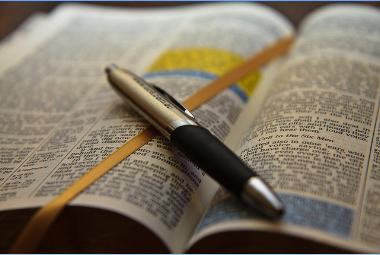 Shortly thereafter, Dennis started attending a Bible-believing Baptist Church in Bay City, MI. Dennis eventually held the responsibility of Music Pastor for 13 years. Dennis loves to share what God has done for him. In 2001, Dennis felt that God had placed a calling on him to expand his music ministry and to take the Good News of Jesus Christ to other churches in order to see other souls saved as well as be an encourager to other believers through his music ministry. Through the urging of the Lord as well as from other pastors and people in ministry, Dennis felt compelled to release his first Gospel recording that same year entitled “I’ve Been Drinking From The Well”. Since that time, Dennis has recorded additional Christian music projects. These projects feature instrumental and vocal recordings, including both old Gospel favorites and some new songs that Dennis has written. Dennis ministers and speaks throughout the country. His music is heard nationally on terrestrial radio stations across the country as well as played on Sirius / XM satellite radio. Dennis also appears regularly on national television. Dr. Paul Pitts has now sung over 5000 performances on 7 continents, to over 5 billion people by television, radio, recordings, and personal appearances. Here are some of the highlights of his career thus far. -The soloist for the 60th Anniversary television special celebrating Israel’s 60 years of Statehood, with Benjamin Netanyahu. This internationally televised event was broadcast to 200 countries with over 300 million viewers worldwide. -The featured soloist for the “Concert of Peace” uniting North and South Ireland. This was held at the Waterfront Arena in Belfast. -Paul has sung at the Porsche Arena (Stuttgart, Germany), ExCel Center (London, England), Moriches Island of the South East coast of Africa with over 90,000 people in attendance, and Taipei, Taiwan. -He has been awarded an honorary doctorate in humanities from Coral Ridge University. -He is winner of the “Outstanding Young Men of America” award. -Paul Pitts has shared the stage with motivational speakers such as; Zig Ziglar, John Maxwell and many others. He has appeared at James Dobson’s “Focus on the Family” and “In Touch” television program with Dr. Charles Stanley. -He has performed at the Crystal Cathedral, Alamo Dome, Amway Arena in Orlando Florida, Cypress Gardens and Opryland USA. -Paul will sing the title role of the opera Otello this year, at Lincoln Center, New York City, for the American National Opera Company. -He is now performing “The Scribe” an unforgettable, dramatic musical performance, depicting the life of Christ as told from a scribe’s point of view and himself becoming a believer through the testimony of Simon Peter. Dr. Pitts sings with a compassion for people. St. Petersburg Times quoted Paul as saying, “If I can touch someone’s heart with the love of God I will have lived out my purpose." Jerry has established himself as one of the world’s premiere pianists, having performed on almost all continents. He has teamed up with such artists as Glen Campbell, Sandi Patti and Steve Amerson. As a composer, arranger, conductor and studio producer, Jerry has conducted orchestras from London and Tel Aviv to Nashville and Los Angeles. Working with his sons Scott and Brad, his creative touch appears in over 500 recorded projects. His publishing and arranging efforts include several dozen original songs and over 5,000 arrangements. Much of the proceeds of Jerry’s and his family’s efforts enable trips to the Congo and Rwanda. Jerry performs concerts and teaches music in these locations while his wife Rachel works with AIDS victims and coordinates micro-loan financing for the most impoverished women. We would love it if everyone came out to help with some repairs and work to beautify our grounds. Many hands make light work. Thank you to everyone who is able to come out all or part of this work day.